She asked him how he could say that she considered him as a good friend. Kartik’s imagination ended. He said to Mishti that he would not propose Naira. Her rasgulla fell when she was talking to him. He asked her to cover up by the jacket, and no one would see that. Naira saw him covering up and said that he was good at covering up the mistakes. He said to her that he hides only big things. He then said to Naira that Akshara would be alone there and he was worried for her. She stated that she understood why he was worried for her. She then fell when color fell on her. He holds her but she asked him to leave her, and she went. Akshara saw her tickets being booked by someone. She asked Gayu to cancel her tickets. But Naksh came there and said that he had to stay back as there were some pieces left but he could not let Naira and Gayu go alone with Kartik. He did not trust him. A huge mess was created as who would go and who would stay back. Akshara finally decided that she would go with Kartik and Naira and Gayu and Naksh would stay back and do the required work. Kartik then went to Naksh and assured him that he would take care of his sisters and asked him to trust him once. Naksh said he could do anything for his sisters and could take anyone’s life too if anything happened to them. Naira thought that Kartik pre-planned everything, but she would not let him do anything wrong to anyone. She would not let him win the game. Varsha told everyone that Nunu was trying to get away from rehab and was in bad state. Kaki came there and argued with everyone; she asked them to call Nunu at home. Vishwamber said that he could not see him crying when he would come back home. He thought that they had to be strong and let him stay in rehab only as he could only be cured there. 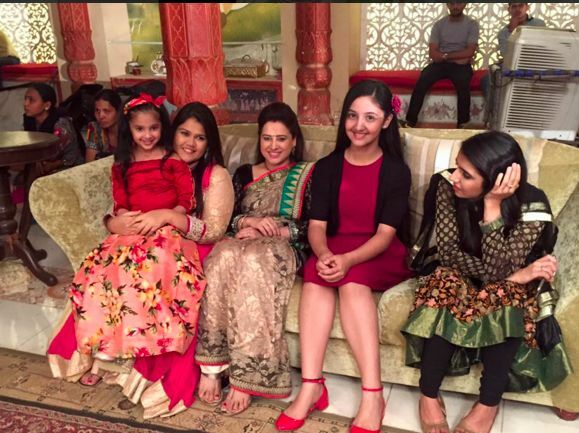 Akshara and Naira and Gayu and Kartik finally left. Naksh wished for their safe flight. They reached Zurich. They then got on the tram, but Kartik found Naira sad. Gayu said to them to that they would go to the hotel and freshen up and then would go for the exhibition. Kartik thought that he had no interest in the exhibition and wanted to find out what wrong he did that Naira was upset with him. Naira saw him talking to someone on the phone and wanted to find who he was talking to.